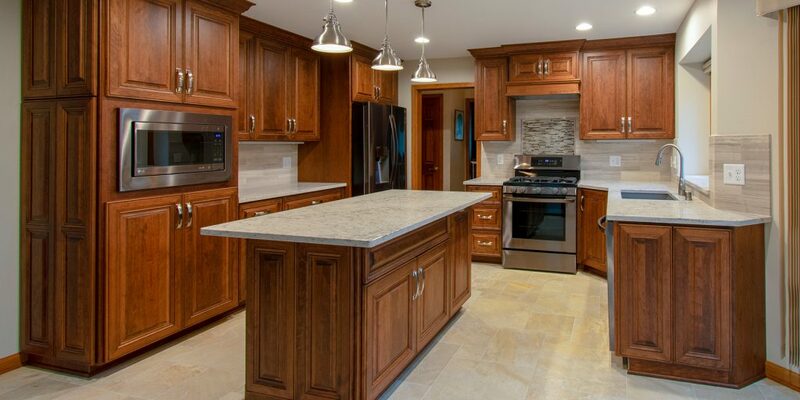 A Brookfield couple wanted to update their 20-year old kitchen. The goal was to open up the room so they could entertain friends and family. The old kitchen felt tight and was showing its wear. 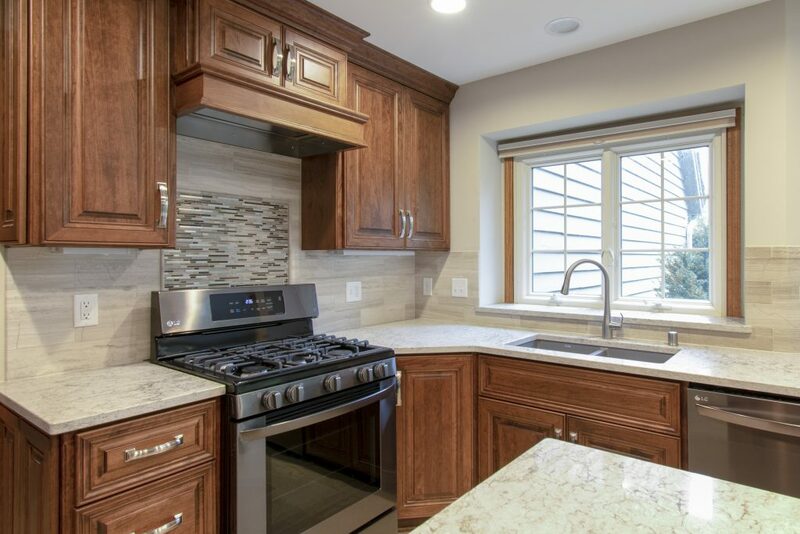 It had broken cabinets, outdated appliances, floral wallpaper, laminate countertops and vinyl flooring. 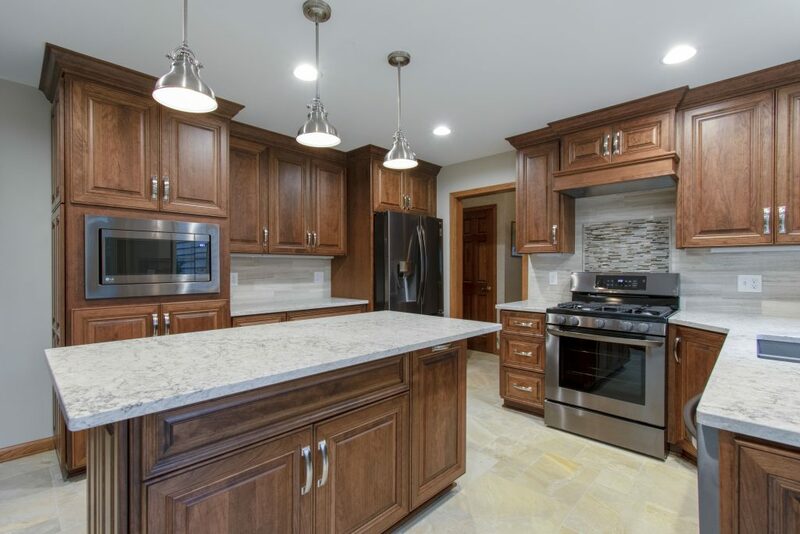 Kowalske Kitchen & Bath designed a traditional kitchen with plenty of character and details – raised panel cherry cabinets, crown molding, quartz counters and a decorative backsplash above the stove. 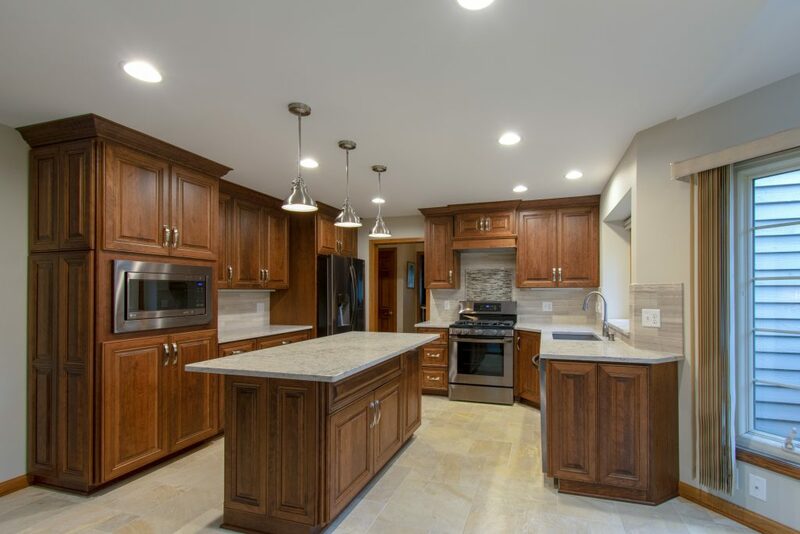 We brightened up the area by removing the soffits and added recessed lighting and pendants over the island. We gave them more storage and counter space by reconfiguring the layout and removing an old closet and an awkward peninsula. 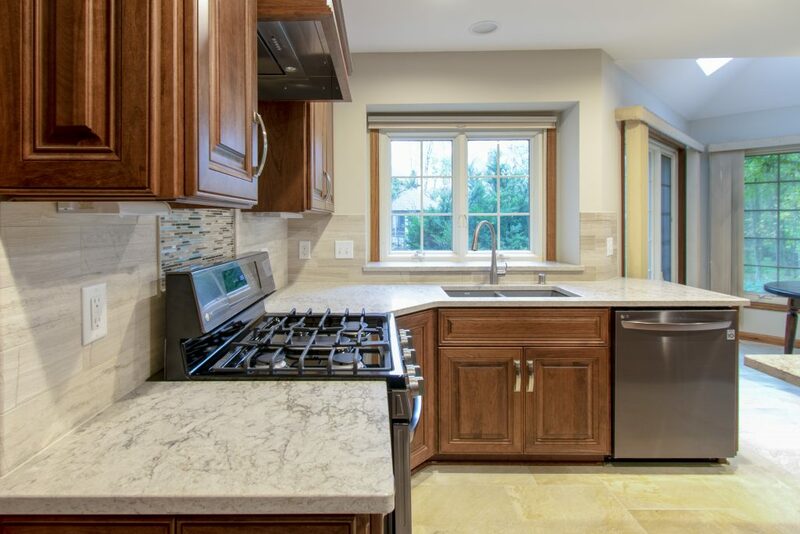 The end result is a smart, sophisticated kitchen!